It all started with the most iconic Nexus 7, an Android tablet which gained huge market hits for its powerful features and compact design at an affordable price. In other words, we can also say that the Nexus 7 increased the demand for 7-inch tablets in the market. Unfortunately, the Nexus 7 is dead now but it gave a much-needed push to the 7-inch tablet market in the past couple of years. 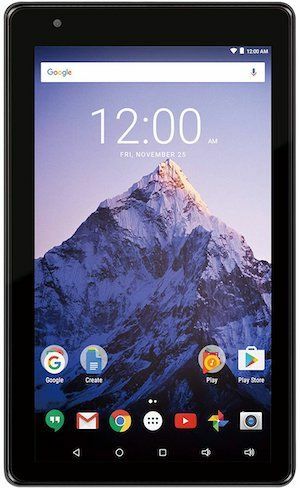 However, we do have some 7-inch tablets in the market which are as good as Nexus 7 and today in this buying guide we’re going to have a look at quite a few of them which are handpicked by our experts at Tablet Under Budget. Why Are 7-inch Tablets Most Preferred? • Based on the body size of the 7-inch tablet many customers decide to buy this range of gadget. While buying a tablet the most important thing customers decide on is the mobility of the device. When the device is heavy and broad it becomes difficult in handling when you are moving. So, the 7-inch tablets lead the market in this factor. They need no extra carrier and get well fitted in bags and purses. • The next factor that comes into consideration is the price range. The price range of the 7-inch tablets is obviously quite low compared to that of 8-inch tablets & 10-inch tablets. For those college goers or frequent gadget changers, heavy investments are not worthy. They prefer a 7-inch tablet more than any other just because to get the features of the tablet on a low budget. 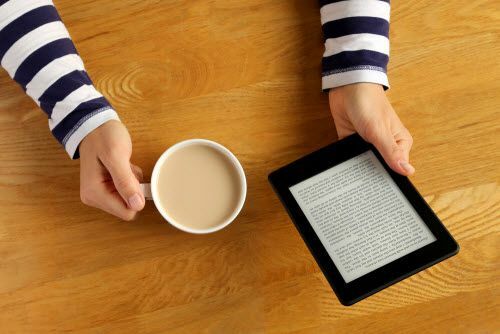 • A 7-inch tablet is very comfortable for E-reading. If you are a college goer and have to study over the net for long hours, a 7-inch tablet would be a great device for you. You can easily hold it in your hand for hours and keep reading unlike other large screen size tablets in the market. 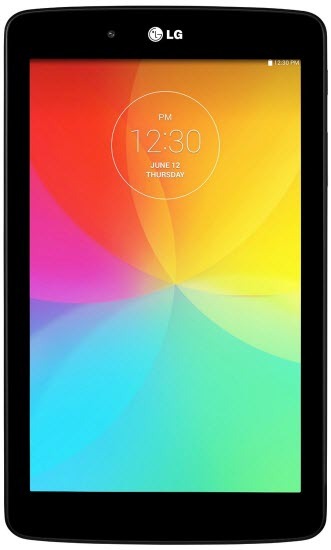 • Moreover, Parents always prefer 7-inch tablets for their kids as they feature a very compact and light-weight design which can easily fit their small hands. Readers should note that we also have few recommendations for Best 7-inch Kids Tablets in the later part of this buying guide. To serve as your ultimate buying guide, here are our most recommended 7-inch tablets 2019 that are readily available in the market to buy. This crisp and brief review of the most worthy 7-inch tablets in the market would be a must review article for every buyer before they ultimately make the decision to invest a budget for the tablet. The most primary thing that we look for in a tablet is its weight and mobility. This tablet is astoundingly thin at 6.1mm and weighs 0.65lb being the lightest ever tablet from Apple. This is highly mobile and fits perfectly in one hand. The Sharp Retina Display and clarity of the tablet give the experience of richer colors and more clarity in viewing movies and pictures. The resolution of 2048 x 1536 with 3.1 million pixels gives more sharp text and picture visibility. The 8 MP iSight camera allows you to capture great photos even at low light availability. The device supports 5x zoom feature that brings far objects quite near for a great click. 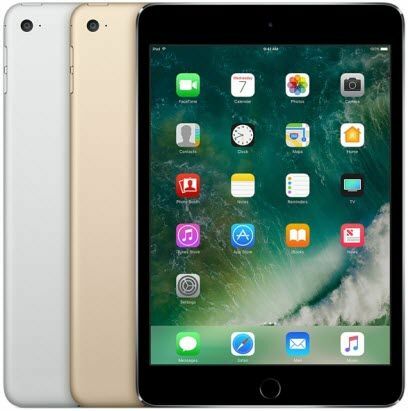 Under the hoof, the iPad Mini 4 also comes with A8 Chipset and M8 CoProcessor that features 64bit desktop-class architecture. It also features a much faster CPU and Graphics performance. The 10-hour battery life helps you complete your task smoothly. The iPad Mini 4 also clubs a quite stronger WiFi, MIMO and LTE features that help you get a speed of 866Mbps all throughout. The device comes with 3 storage options 16GB / 64GB / 128GB to store all your favorite apps and games. All these great features you can buy at an affordable price of under $400 and that’s why the iPad Mini 4 tops our list of best 7-inch tablets. Comfortable in holding as well for the pocket, this Samsung Galaxy Tab A7 is a pretty good 7-inch tablet users. You can easily carry wherever you go as this less weight tablet is pretty handy and you can also easily hold it in one hand while reading or talking. This tablet weighs less than 1 pound and is very slim in design. 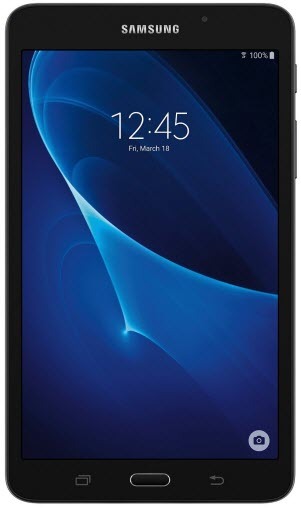 The Samsung Galaxy Tab A7 has a very attractive 7” display that is usually very good and convenient for web surfing, playing games, E-Book reading and much more. The screen resolution ranges to 1280 x 800 pixels which are also pretty considerable than others in the range. It’s good news for those who are looking for a good camera as this tablet has a good 5 MP rear camera that captures really brilliant pictures keeping the standard of Samsung intact. The Samsung Galaxy Tab A7 boasts a Quad-Core Snapdragon 410 Chipset and 1.5GB RAM under the hood which together drives enough performance to carry our everyday tasks. 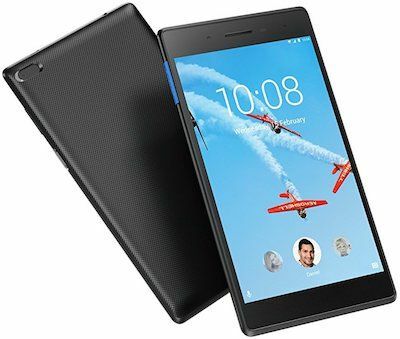 The internal storage capacity of 8 GB might be less for most users, however, we have MicroSD card on this tablet with which storage can be expanded up to 256GB. The operating platform for the tablet is Android 5.1 Lollipop which performs pretty good when it comes to multi-tasking. The battery backup is quite commendable with 11 hours of backup per charging. Overall, the Samsung Galaxy Tab A7 is one of the best 7-inch tablets under $100 to buy. The 2017 Edition of Fire 7 tablet still holds the top position in the low-end tablet market. The overall user-interface and display have been improved in the 2017 Model. According to Amazon, the new Fire 7 features advanced IPS display with an advanced polarizing filter which drives deep contrasts and sharper text to the eyes. The Amazon Alexa Assistant comes integrated with the Fire 7 which still remains very helpful and useful to get information and media recommendations at your fingertips. With the Amazon Prime Membership, you can have access to millions of TV shows, movies and E-books on your Fire 7 which will unlock the true potential of the tablet. If you haven’t tried Prime Media before, then you can have 30 days free trial of Prime Membership. The new 2017 Fire 7 now features 1.3 GHz Quad-Core Processor and 1GB RAM which drives sufficient performance to deliver overall seamless user-interface to the users. However, it might slow down during heavy usage or gaming or opening up couple of apps at the same time. The overall form-factor of Fire 7 is very compact and weighs only 0.6 Pounds which is very portable to toss in a backpack or pocket to carry around. As far as battery life is concerned, the Fire 7 on continuous web surfing lasted around 6.50 hours according to the folks at Laptop Mag. Overall, the Fire 7 tablet is one of the best 7-inch tablets to buy in 2019 for media consumption. If you are a style freak, then this is the best tablet that you can get in a pocket-friendly range. The elegant leather pattern of the device makes it ergonomically sound and gives a nice grip when you hold. It is a very sleek and lightweight tablet, weighing only 0.6 Pounds and is highly thin being just 8.4 mm thin. The tablet is equally easy and convenient in holding by one hand even when you are mobile. The display of this tablet at this price range is nothing less to the others in its category. The 7” display with IPS display with ASUS TruVivid display gives better viewing experience. Unlike some others in this range, this tablet comes with a dual camera 2MP rear and 0.3MP front. But this cannot be your choice if you are actually looking for a camera tablet. The ASUS ZenPad 7-inch tablet works on Android 5.0 Lollipop OS which is quite an updated OS in terms of speed and processing. This tablet comes ready with an internal storage of 16 GB and expandable up to a huge 200 GB storage. 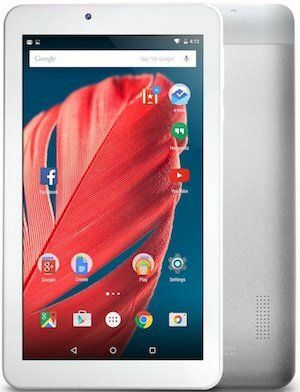 The moderate battery backup and other chirpy features like easy unlocking, blue light filter in the price range of $120 is a worthy buy for low budget consumers who are looking for the best 7-inch tablets at an affordable price. The Lenovo Tab 7 Essential is the latest offering from Lenovo that runs on Android 7.0 Nougat OS. The overall form-factor of the tablet is very compact and weighs less than a pound which makes it easily fit in your pocket. The IPS display on the front is quite bright and fairly visible in outdoor conditions, however, the sharpness of texts and images are up to the mark with the resolution of 1024 x 600 pixels which might seem quite low, but it is ideal for a 7-inch tablet to watch movies, browsing the web and reading E-books on the go. The camera quality of Lenovo Tab 7 Essential is fairly good to be honest, the images came out quite horrible in dark conditions. Anyway, for a $100 tablet, this should be fine! Under the hood, the Lenovo Tab 7 Essential packs a 1.3GHz Quad-Core 64-bit Media-Tek Chipset and 1GB RAM which together promises overall seamless user interface to the users. The overall environment of the tablet is very fluidic and we didn’t notice any lag, however, opening up a couple of apps simultaneously might slow down the tablet. Moreover, it also supports all the latest apps from the Play Store in case if you want to game a bit with this tablet. All in all, the Lenovo Tab 7 Essential is a basic 7-inch tablet with an overall thin profile that gets your work done. Weighing just 0.7 pounds this 7-inch tablet is a quite easy to handle one that can give you the convenience of talking & reading on the go. Alike its category, the LG G Pad V400 7-Inch Android Tablet also has a classy 7-inch IPS display with intricate detailing and vibrant colors. The LG GPad V400 is supported with dual cameras though but it cannot be treated as a camera tablet as because it has an only 3MP rear camera which is really less for clicking good pictures. The Android 5.1 Lollipop OS provides the device the most advanced user interface yet. The 1.2 GHz Quad-Core processor, the seamless connectivity feature with Q pair 2.0, dual-window multitasking feature and much more in just $109.99 makes this device an overall worth of money. The first thing about this particular 7-inch tablet that would attract many buyers in the category is its attractive price range which is just $62.99. Many gadget lovers who tend to buy tablets, use for some time and go for a change again would definitely prefer to buy this pack of features. 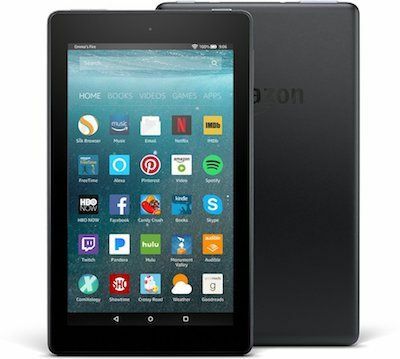 This 7-inch tablet weighs only 8.96 ounces which is considerably light-weight and easily you can carry it in your bag or purses and also can hold in your hands very comfortably while talking or reading. The 7” wide touchscreen IPS display with 171ppi gives the viewer a brighter display with highly defined colors and whiter whites. The advanced polarizing filter and IPS technology allows awesome viewing experience from all angles. If you are looking for a good camera on your tablet then this could be a second choice as the the NeuTab features a dual camera setup which is fairly good in dark conditions. 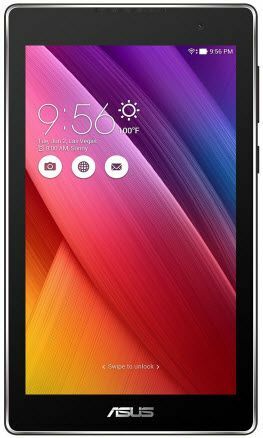 This tablet is otherwise a worth buying one since it has other specifications like 1.3 GHz Quad-Core Processor, 7 hours of long battery life, Android 5.0 Lollipop and 8 GB Internal Storage which is further expandable via a MicroSD card which is perfectly in line with other tablets in its category. The next tablet in our list of best 7-inch tablets is RCA Voyager Pro 7″. 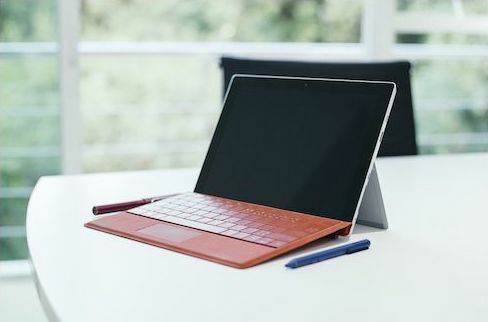 This is also a lightweight tablet that gives you the immense ease of portability. This tablet weighs only 1 pound that is quite lightweight and portable for those who are frequent movers and like to use their tablet while traveling. This particular tablet is quite famous for its availability with Keyboard which enables its users to type with ease on the go. The Display of RCA Voyager Pro 7″ packs a resolution of 1280 x 800 resolution which is enough bright and sharp for reading and browsing the web. Unfortunately, the camera on Voyager Pro 7″ is quite terrible to be honest and fails to capture details and sharpness. The RCA Voyager Pro 7 has an internal storage capacity of 16 GB which can be further exapnded. Under the hoof, the tablet works on Android 6.0 Marshmallow with 1.2 GHz Quad-Core Processor which gives it a more powerful and speedy processing of data and instructions. It also has 1GB RAM that which takes care of the multi-tasking. The battery backup is quite high for long and consistent use of the device. The one unique feature that might attract gadget lovers is its Multi Window Feature which allows you to operate between two apps side by side and drag contents from one to another. This tablet is worth value if you have a low budget as it comes in hand all in just $65, making it one of the most affordable and best 7-inch tablets under $100 in the market. The Fire 7 Kids Edition is a kids version of the original Fire 7 tablet which is specifically aimed towards kids to help them learn on their own. Now the amazing thing here’s that, currently, we have a Limited Time Offer at Amazon which will save you 50 bucks on buying 2 Fire 7 Kids Edition Tablet. There is also an 8-inch version of Fire Kids Edition which features an HD display. While our current contender features an IPS display with 1024 x 600 pixels which quite sharp and ideal for 7-inch screen size. The build quality of this tablet doubles up with a Kid-Proof Case on the top of it which easily handles normal drops what a kid does quite often. Under the hood, the Fire 7 kids edition is powered by 1.3 GHz Quad -Core Processor and 1GB RAM which together drives enough speed for kids. Moreover, as a freebie, you also get 1 Year of FreeTime Subscription which gives your kid access to around 15,000 apps, games, videos and tons of education content with which they can learn new stuff on their own. With Amazon Parent Dashboard, now parents can track their kid activities and progress with the tablet. The Kids Safe Browser which comes pre-installed keeps out inappropriate contents and displays kid-friendly content only which is really a good move by Amazon for kids in our opinion. The best part, in case, if the tablet breaks then Amazon will replace it for free until and unless it comes under 2 Year worry-free guarantee. 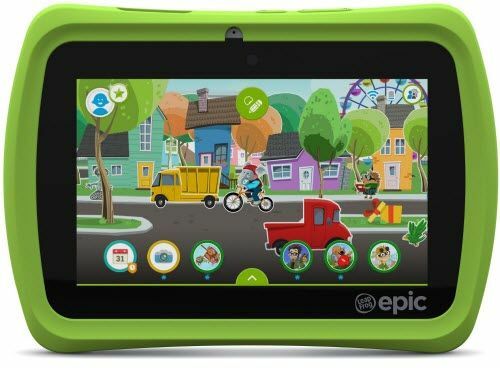 The LeapFrog Epic 7 is our second most recommended 7-inch tablets for kids. 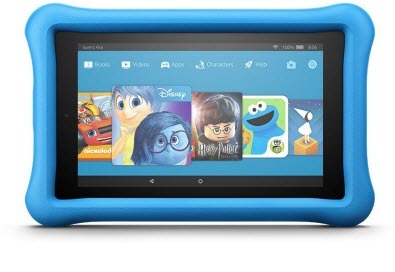 The tablet is specially designed for kids to learn new things and carry out activities on their own. Now kids can explore their favorite apps and games like Fruit Ninja Academy, Math Master and Doodle Jump on LeapFrog Epic 7. Each of these apps comes certified by LeapFrog to ensure that there are no further in-app-purchases. Right out of the box, kids can use leapFrog safe browser which comes pre-installed which only opens kid-friendly websites. Moreover, parents can unlock full browser as their child gets older. Parents can track activities and progress of kid and can also set a specific time limit for usage. Designed with interactive home-screens, now kids can watch their city go from day to night along with real-time weather which will amuse kids and allow to learn on their own what’s going on outside! Under the hood, the LeapFrog Epic 7 housed a powerful 1.3 GHz Quad-Core Processor which drives enough performance for kids to carry out activities lag-free. Plus, the 16 GB internal storage which is further expandable for storing apps and games. Overall, the LeapFrog Epic 7 is a good trust-worthy 7-inch tablet for kids to be their childhood companion. These tablets with point-wise specification are hand-picked and tested by our tablet professionals to give you a brief idea of the best 7-inch tablets in the market. So, go through it and select the one as per your requirements and budget. Still can’t figure out? Check out our ‘Tablets by Size‘ section for more options or Browse our ‘cheap tablet buying guides‘ to get our experts’ most recommended tablets falling under different budget constraints.